Victims and the families of General Motors' faulty ignition switch will find out how much compensation they get. General Motors' (GM) faulty ignition switch caused 13 deaths by GM's count and many others by the tally of lawyers and lawmakers. It also caused numerous injuries. On Monday the automaker is revealing how much it plans on compensating those victims. 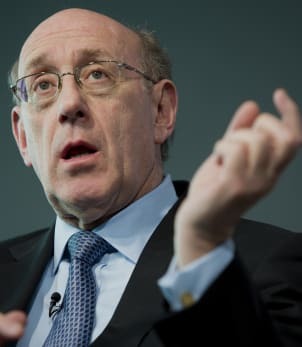 Kenneth Feinberg who consulted on payouts for the 9/11 terrorist attacks, the Boston marathon bombing and the BP (BP) oil spill has been hired by GM to work on a plan and will have the final say on the sum, which could be reach into billions of dollars. Those who take what's being offered would have to give up their right to sue the company. Compensation is likely to be offered for accidents that occurred before and after GM went bankrupt in 2009. Joshua Roberts/Bloomberg via Getty ImagesKenneth Feinberg, founder and managing partner of Feinberg Rozen. On the heels of the Supreme Court ruling against Aereo, the streaming TV service is taking a break but says it isn't shutting down. The court decided Aereo was operating in breach of copyright law by retransmitting local TV signals via the Internet. The case goes back to a lower court and the company says it has decided to "map out its next steps." In the meantime, all subscribers will be refunded their last paid month of service. While the company is saying they aren't shutting down, analysts think the company will either have to close or radically change the way it does business. On Wall Street last week, the Dow Jones industrial average (^DJI) slipped 0.5 percent to close at 16,851, the Nasdaq composite (^IXIC) rallied more than 0.5 percent and the Standard & Poor's 500 index (^GPSC) fell 0.1 percent. CEO pay has risen 725 percent since 1978 whereas the average employee's salary has risen 10 percent over the same time frame. The reason often cited for the high executive pay is that they add so much value to a company. Well, a new study contradicts this. The finding from the University of Cambridge, Purdue University and University of Utah is that the highest paid CEOs actually perform the worst. Companies that pay their execs in the top 10 percent tend to earn negative returns over the next few years, the study found. It also found that the longer an executive stays at the top, the worse it is for the company. The conclusion is that when execs earn excessively big paychecks they get overconfident and don't make the best decisions for a firm. There is bound to be a lot of debate about this one. And finally, if you're in your 40s or 50s and have contemplated starting a new career, you are far from alone. A new survey finds that almost a third of people in that age range plan to change their careers in the next five years and 53 percent of them are confident they could successfully make the transition. What they're generally searching for is less stress and a better work-life balance. The survey also found that half of mid-lifers would quit their jobs tomorrow if money weren't a factor and 75 percent want to make their lives more meaningful.